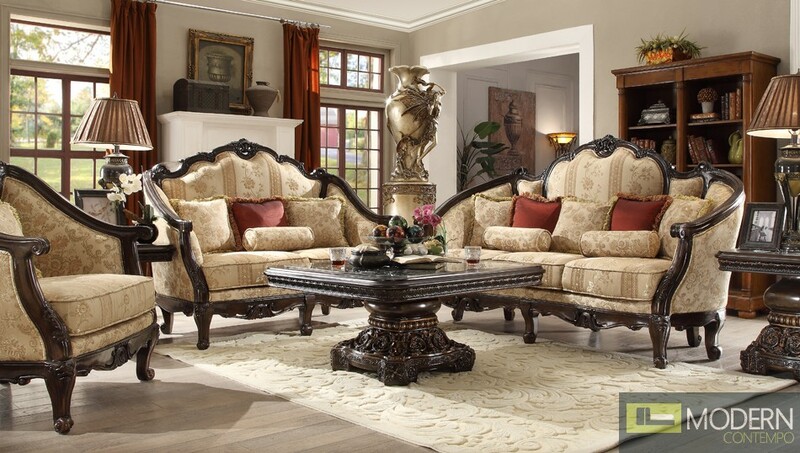 This elegant Victorian set has a Luxurious patterned accent pillows create a distinctive look, while the deep, plush seat cushion supports you in glamorous comfort and style. Seat cushion and button tufted back are upholstered in a rich chenille fabric and accented with intricately hand carved solid wood which continues along the front and up around the arms for an exquisite style that is sure to impress. Scrolling hand carved detail along the arms and base accent the grandiose traditional design. An elaborately carved crown adorns the center of the back of this exquisite piece.